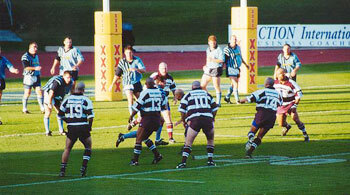 Rugby league has been played in Queensland for many years and has seen a huge annual growth in participation over this period. This state is recognised as one of the fastest growing states in Australia in regards population growth, with sport in general, being one of the main pastime activities. Rugby league is notably one of the premier sports in the state. The Queensland Police Service prides itself on being an organization that upholds the highest standards of honesty and integrity for, and by its members. We have over 12000 members including unsworn staff and Police Liaison Officers, serving at almost every town throughout the state of Queensland. The Service encourages and applauds community and sporting involvement from its members. The Queensland Police Service Rugby League State Championships have been run since 1987 and are the cornerstone of our Association. Our Association boasts participation at these championships of up to 12 teams, from every region within the state. These weeklong championships are held annually at various locations throughout the state, involving in excess of 300 players, officials and support staff. We are the only truly state-wide Police Rugby League Association in Australia.